Quartz Countertops in Charleston SC - Your Dream Space Awaits! Engineered stone countertops in Charleston, South Carolina offer homeowners a wide variety of benefits with ownership including cost, appearance, and durability. If you are considering renovating your kitchen or bath, Charleston quartz is certainly worth consideration! Quartz countertops in Charleston, SC can turn your drab kitchen or bath into a new fabulous dream space. The manufacturing process used with quartz countertops allow makers to ensure your slab is the exact color, texture, and pattern you've selected for your Charleston, SC quartz countertop project. This also helps to keep your costs down since the manufacturer won't have to cut around defects that are usually found in natural stones. Unlike granite and marble, quartz countertops are an engineered stone. Found in abundance in the earth's crust, natural quartz is combined with other materials to create a luxurious, durable engineered stone. This mixture should contain anywhere between 92% - 94% crushed quartz that is held together by a resin binder. Pigments are added for coloration and resin is added to act as a binder. Typically, the pigment and resin additives make up 6% to 8% of the mixture. Quartz countertops in Charleston, SC can bring your kitchen or bathroom to the next level of elegance. One of the most attractive features a quartz countertop will offer is the flexibility of available colorations. Your quartz countertops in Charleston can come in a wide array of colors to suit any decor and taste. From bright, vibrant colors to creams, grays, and the boldest of blacks, nearly any hue can be produced with the pigmentations. Available colors are just the beginning when it comes to the advantages of quartz countertops. Quartz is more stain resistant than granite and is less prone to chipping and cracking. Your new luxurious kitchen or bath countertops in Charleston, SC will not need as much maintenance and care as a natural stone countertop would, leaving you more time for what matters most. Luxurious quartz countertops in Charleston come with some of the best advantages a homeowner could ask for. Quartz can be manufactured to replicate the look of a matte limestone, textured granite, or glossy stone, offering far more design options than those you will find with a natural stone countertop. As an engineered product, Charleston, SC quartz countertops are non-porous, which makes this a very hygienic product for your gorgeous new kitchen or bathroom. This means you won't have to worry about bacteria or viruses making a home in your countertop. Because this is an engineered stone, the colors and hues you choose will be incredibly consistent throughout the stone. You will not see veins and varied hues in a slab of quartz like you would with granite and marble. Your gorgeous engineered stone will have a more uniform coloration. Charleston, SC quartz countertops offer a consistency in coloring that few natural stones, like granites, can offer. Matching quartz slabs for larger or split projects can be done with ease, even in multiple rooms! Quartz countertops in Charleston, SC are perfect for kitchens. Quartz is perfect for kitchen spaces and will offer some amazingly luxurious aesthetics to your kitchen. Because this engineered stone is designed to be non-porous, you can have peace of mind knowing your engineered stone won't harbor stains easily. Additionally, Charleston quartz countertops are designed for durability, with the ability to offer decades of elegant performance. Quartz is exceptionally resistant to stains, making it perfect for the kitchen! Because quartz countertops are hygienic, they make the perfect choice for use in food preparation and eating areas. Your new quartz kitchen countertops in Charleston, SC can even be certified Kosher. Quartz countertops were engineered to be incredibly hygienic, reducing the opportunities bacteria may have to grow. Cleaning is truly a breeze, as quartz countertops are not high maintenance materials like marble. Your Charleston, SC quartz bathroom countertops are easily cleaned with soap and water. It's worth mentioning that quartz doesn't require sealants to retain its elegant beauty and superior performance. For over a decade, East Coast Granite and Design has been offering unparalleled customer service and superior, high-quality quartz countertop installation in Charleston, SC for homeowners looking for an updated, luxurious space. Our design specialists are eager to work with you, helping you turn your dreams into reality. Contact us to speak with a Design Specialist who is standing ready to answer any questions you may have. You can also schedule your no cost quartz countertop consultation to discover how we can help you achieve your design dreams with quartz in Charleston, SC . Getting started on your new remodeling project in Charleston, SC with quartz is easier than ever with our surprisingly simple process. If you are considering new quartz countertops in Charleston for your kitchen or bath, give East Coast Granite and Design a call today! You will be assigned a Design Specialist who will work with you throughout the duration of your project. Your professional will visit with you to get a feel for your space, and more importantly, your needs and vision for the renovation. Once the Design Specialist understands exactly what your concept is for your remodeled kitchen or bath with quartz countertops in Charleston, South Carolina , they will create a unique and personalized design and offer a quote for the project. Once the design is approved, your design specialist will help you choose your stone and edging that suits your new space exquisitely. You'll then choose a time that best suits your schedule for a template of your new quartz countertops to be made. Once your template has been created, we will get right to work on your engineered stone countertop. During fabrication, your specific slab will be inspected and the template layout applied before cutting begins. The edges you choose during the selection process are also fabricated at this time. Your slab is then meticulously polished before its final in-depth quality inspection. In general, you can expect it to take 5-7 business days from template to installation. 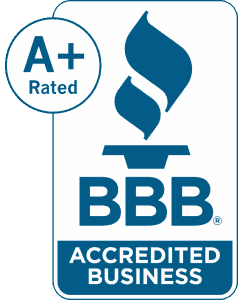 "I have been using East Coast Granite for over 3 years as we are licensed SC contractor. I have had nothing but excellent service from the guys here in Charleston. They are on time, they install fast efficient, and they never make mistakes! I have used other granite stores in past and left them when East Coast came to Charleston." "They were all knowledgeable, helpful, professional, and accessible throughout the whole process. The team that came to install were punctual, professional, and did a great job. Everyone has been very kind and we love, love, love our new countertops!!! The price was great and the granite is better than we saw other places. We couldn't be more pleased and highly recommend East Coast Granite and Design." "Good prices, my project was completed within a week." "Outstanding quality and committed staff! Would and already have recommended it to friends and family."